Providing you the best range of female threads swivel joints, swivel joints and swivel elbow with effective & timely delivery. We are manufacturing all types and all sizes swivel joints. For high pressure and low pressure. Size: 1/2" to 8 " bsp. 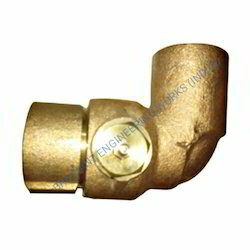 We are manufacturing all types of swivel Elbow for hose reels and others chemical plants. Size As: 1" bsp , 1 1/2" bsp 2"bsp and other for as per your requirements. Material: s steel , gun metal and aluminum. Looking for Swivel Joint Fittings ?